A universal sport – 190 National Federations from 5 continents are affiliated to World Karate Federation (WKF). Competed by male and female participants equally. Operated safely following the WKF rules. Also strictly follows the WADA Code. Popular among youth – 80% of Karate participants in the world are under 20 years of age. 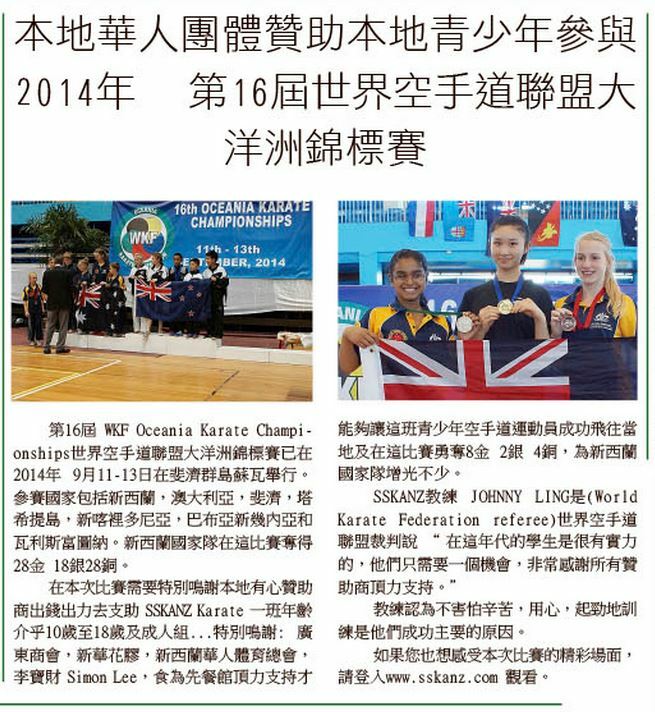 This is media coverage on KNZ & SSKANZ competition results at the 16th WKF Oceania Karate Championship held in Fiji and recognition of supports from our sponsors. Once again, thank you for your support and our success is very much replied on it. 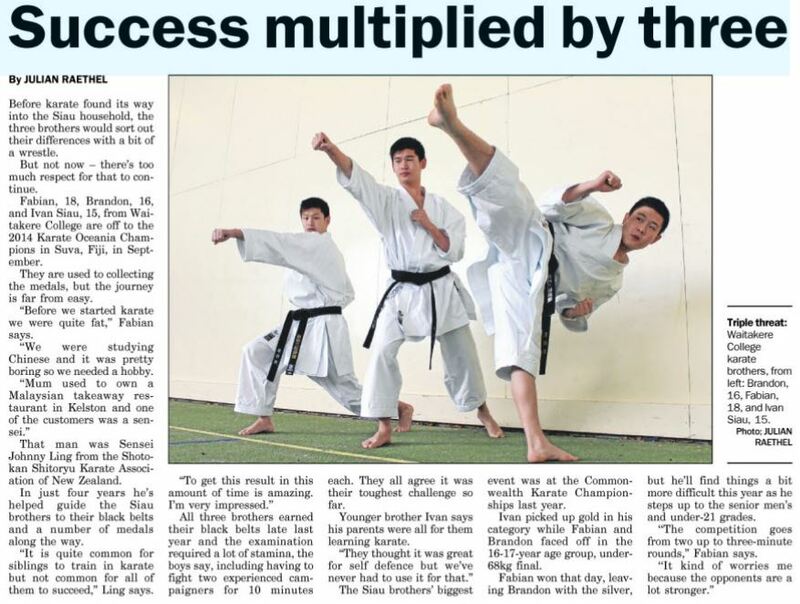 Media Coverage published on North shore Times 9th Oct 2014 on page 23. Great work again to ALL medal winners at the KNZ Nationals 2014. 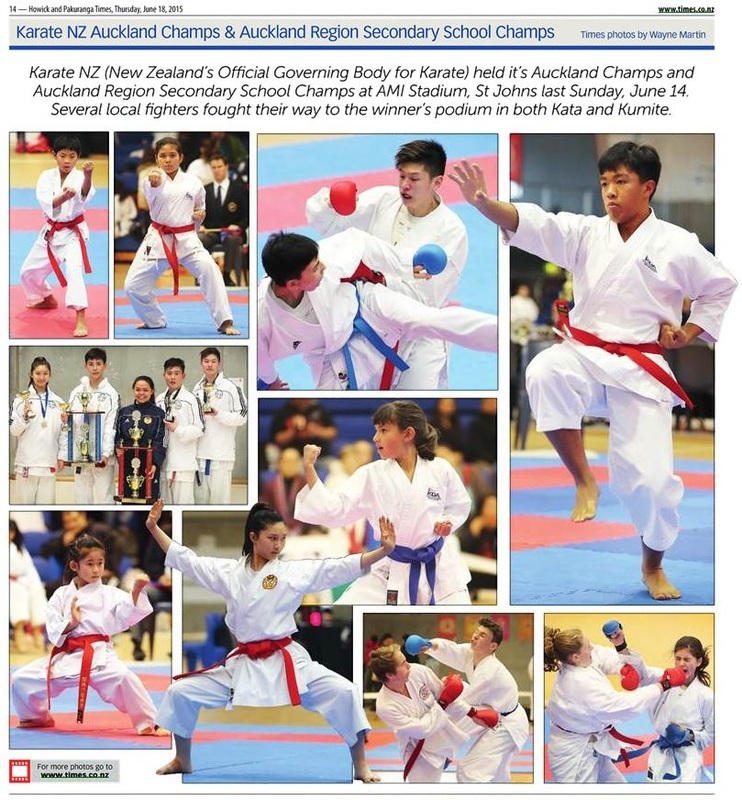 Media Coverage published on Auckland Central 30th July 2014 on page 23. 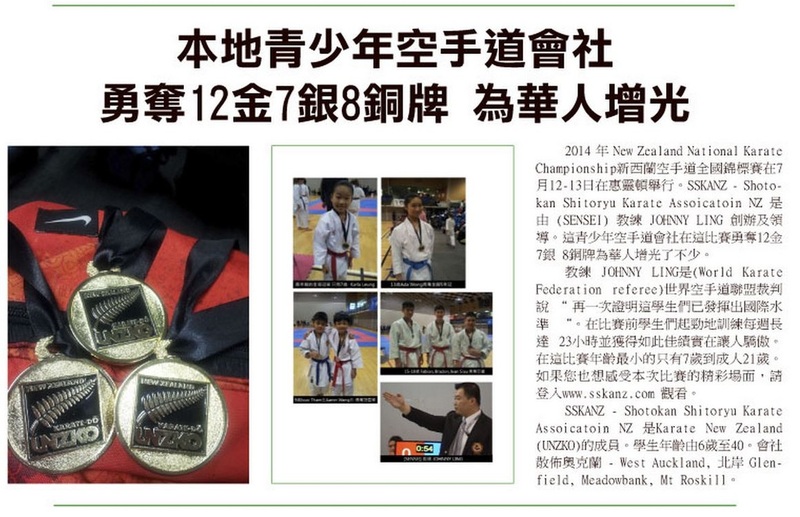 This is a press release on SSKANZ's achievement on KNZ Nationals 2014, published on Mandarin Pages 20th of July 2014 . 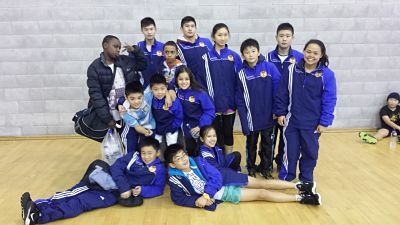 Close to a total of 160 competitors over two days competition in Wellington, 17 SSKANZ competitors have achieved 12 GOLD, 7 SILVER and 8 BRONZE Congratulations to all SSKANZ students who have achieved an outstanding results - excellent effort! Click here for full National results for SSKANZ. Regional and National exam, practical demonstration and answer question on your kata. 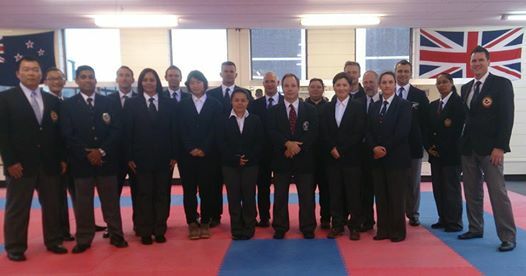 Referees: Referee uniform /Karate dogi. 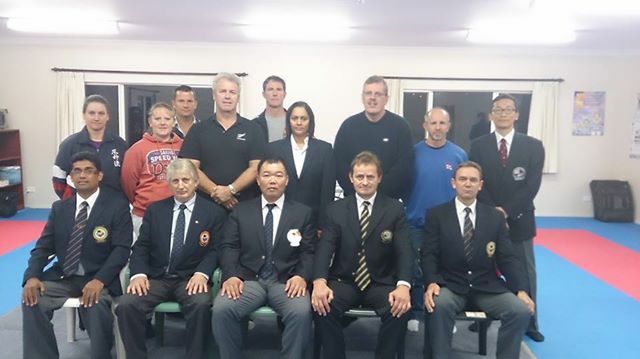 KARATE AUCKLAND is hosting a Regional Referee Seminar and Examination before the Auckland Regional Championships on 15th June. Theory exams for kata and kumite Regional Level and practical demonstration and answer questions on your kata. Please advise your attendance as early as possible directly to Johnny Ling so we know there are sufficient numbers and material available.